Villa Romana is known for serving a combination of the most popular Italian dishes alongside some unique twists on the classics, all made with love and local ingredients. Naturally it will come as a surprise to none that our menu contains more than a dozen traditional Italian pasta dishes for you to choose from. They sit beside handmade Neapolitan pizzas and the finest meat, fish and antipasti selection, so whenever you’re in the mood for typical Italian food and whatever you fancy we’ve got you covered. When you’re in the mood for a really good spaghetti bolognese or a lasagna we’re there for you but the old faithfuls are not your only options when it comes to traditional Italian pasta dishes at Villa Romana. We have a range of pastas on offer, including some great vegetarian choices. Our aim is always to bring a truly Mediterranean taste to Liverpool, using traditional cooking styles applied to great quality local ingredients to recreate typical Italian food for our city, which has always had a large Italian community. 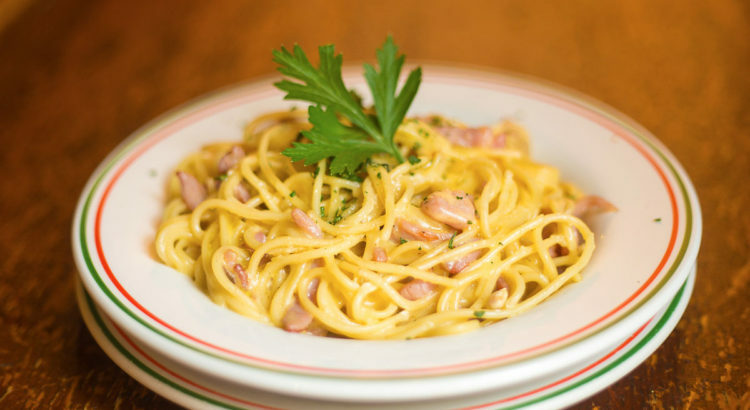 There are always a few ways to save money on popular Italian dishes at Villa Romana. – Our lunchtime menu serving you two courses for £9.95 12-2:30pm, Tuesday – Sunday.